If you want to travel the world but you’re constrained by the language barriers, these futuristic translation apps will help you in your journey. This application supports over 103 languages, more than any of its competitors. Offline it has support for 53 languages, instant translation cam for 29 languages, speech-to-speech translation of 32 languages and offers handwriting translation into 93 languages. With these interesting tricks, like using the camera on the phone, support for some languages even if you don’t have an internet connection, and full integration with Android for translating texts and websites, you get the best free translation Apps. You can download it from the App Store or Google Play. This application provides text-to-speech and voice-to-voice translation from your smartphone, both IOS and Android devices. Get the desired translation as soon as you speak. You have an opportunity to save your most commonly used phrases in a personalized “phrasebook” for easy access. This application supports 42 languages. You can download it from the App Store or Google Play. This application is for iPhone and offers speech-to-speech translation in 43 languages ​​and dialects with 95% accuracy voice recognition and requires an internet connection. Its disadvantage is that there is no Android app currently available. You can download it from the App Store. This application is an interpreter of Chinese, Japanese and Korean characters in English by using the camera on your smartphone. It’s great when you’re traveling in Asia. You can download it from the App Store or Google Play. This application is more like an interactive phrasebook. With an instant voice translator, which comes in combination with other tools that are useful when traveling, it can be used as a tip calculator, a currency converter and to find emergency information. There are also lots of handy extras such as language tools, some cultural information and free calls over Wi-Fi. It even offers casual, formal or slang equivalents for commonly used phrases. Language line help is available for 180 languages per minute ​​and full content is available for the following languages: Japanese, Hebrew, Hindi, Korean, Mandarin, Thai, Italian, Portuguese, Spanish, German, French and Russian. You can download it from the App Store or Google Play. This device is a device that provides translation of speech in almost real-time. Languages ​​it recognizes are Japanese, Chinese and English. There is also a likelihood and possibility for the development of Thai, Korean, French, Spanish, Italian and Arabic languages. In this case you need a mobile phone for translation. The mere presentation of the demo version on this device has generated much interest, but is not yet publicly available. This is a device that consists of two earpieces, one for each speaker, and an app. It doubles as ear-buds for your music but the main function is real time translation that is delivered right into your ear canal and works offline. Languages ​​supported are Italian, Spanish, French and English. It is not yet publicly available. 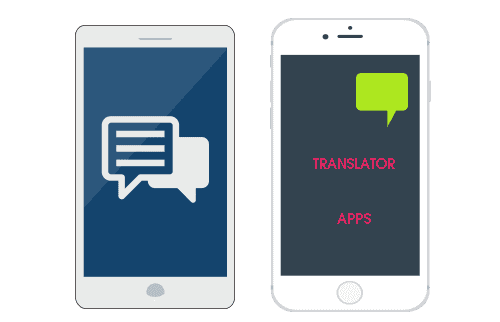 Translation Apps – Are They Worth It? Although often interpreted as universal translators these applications are not actually 100% correct. Do not use these translation apps if you are unfamiliar with a language in order to negotiate deals or for legal matters. 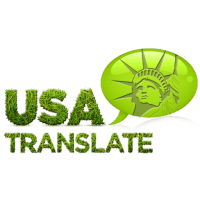 The human factor here is indispensable for an accurate and reliable translation.